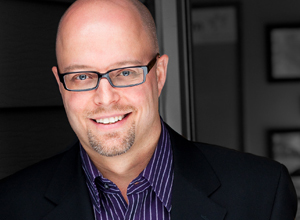 Darrin Hotte is committed to empowering individuals and groups to work through conflict, transition and crisis. He has mediated, facilitated, coached or consulted on over 800 disputes. Darrin has over 30 years of leadership experience and specialized training in the areas of conflict, complex family systems and relationships. He is passionate about building, restoring and preserving health within companies, families, communities and organizations. His mediation practice is focused on Separation/Divorce, Family Business and Speaking/Training. He has an exceptional ability in assisting two or more people become “unstuck” in their conflict and helping people take advantage of the opportunities conflict can bring. Having served in leadership positions at all levels (Senior Leader, Director, Committee Chair and Volunteer) in various organizations in BC and Alberta, Darrin has been instrumental in guiding families and groups to achieve specific goals while strengthening relationships within the team. Using his gifts in mediation, leadership, mentoring, coaching and teaching, he has facilitated groups, families and individuals to take crucial and positive steps forward. He has led organizations involving between 150 and 800 people. Darrin is a Certified Comprehensive Family Mediator (Family Mediation Canada) and a Member of the Family Roster of Mediate BC. He has a Certificate in Conflict Resolution: Family Mediation Specialization (Justice Institute of British Columbia) and is a Family Enterprise Advisor certified through the Institute of Family Enterprise Advisors (Sauder School of Business). He has also attained an MDiv (Regent College) and a BA in Psychology/Sociology (Concordia College). Darrin is on faculty at the Justice Institute of BC as a coach, and was Manager of the Family Mediation Mentoring Program at Mediate BC. He is a Coach at the Family Law Mediation courses offered through Continuing Legal Education for lawyers who are training in family mediation. Darrin has partnered as an Associate with David Bentall and Next Step Advisors in their work with family business. Residing on the North Shore of Vancouver, he serves all areas of BC and as far east as Ontario. Darrin enjoys running, weight training, hockey, golf, cycling and photography and is also an occasional jazz drummer. However, his greatest joy is found in his wife and two children. and make your conflict positive.